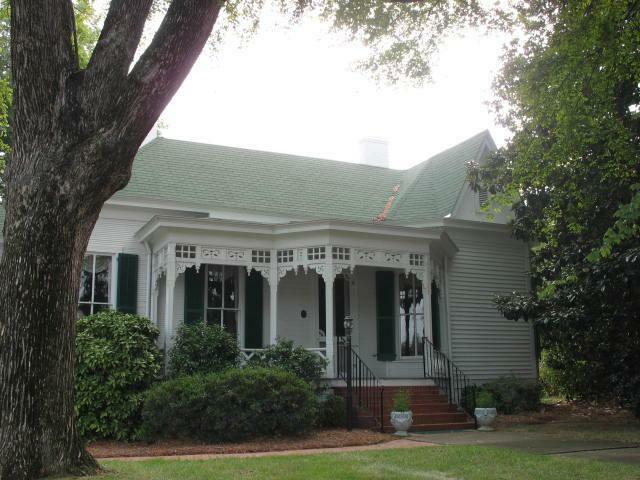 A local guide to Matthews NC real estate, news, events, neighborhoods, schools and more. Search Matthews NC homes and land for sale. Small town living with convenient access to Charlotte is what makes Matthews so appealing. The focal point of Matthews is its historic downtown where a number of turn-of-the-century buildings have been preserved and are now occupied by antiques shops and offices. Ten of these buildings were listed in the National Register of Historic Places in 1996. Several desirable neighborhoods are within walking distance of downtown. A new Town Hall and Library, overlooking the Village Green with gazebo, opened in 2001. A commercial district with a nostalgic design flanks the entrance to the Village Green. Matthews contains many shopping areas, most built since the late 1980s. Matthews is about 20 minutes from three Charlotte malls. The town includes a hospital and a community college campus. 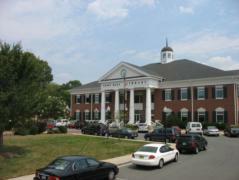 While Matthews has excellent access to Charlotte's employment centers, the town itself is home to a number of business headquarters. Matthews has a rich variety of neighborhoods. Some are very affordable and some are very upscale. Home prices range from the low $100,000s to over a $1,000,000. All neighborhoods are served by excellent schools. Residents of Matthews enjoy a sense of community and safe village life. Matthews began in the early 1800s as a little village in a farming community. The first name given to Matthews was Stumptown because the farmers clearing the fields left pine stumps everywhere. In 1825 the name changed to Fullwood in honor of the first postmaster whose home housed a pony express stop and the Stagecoach Inn. The stagecoach ended in 1874 when the railroad came through town. 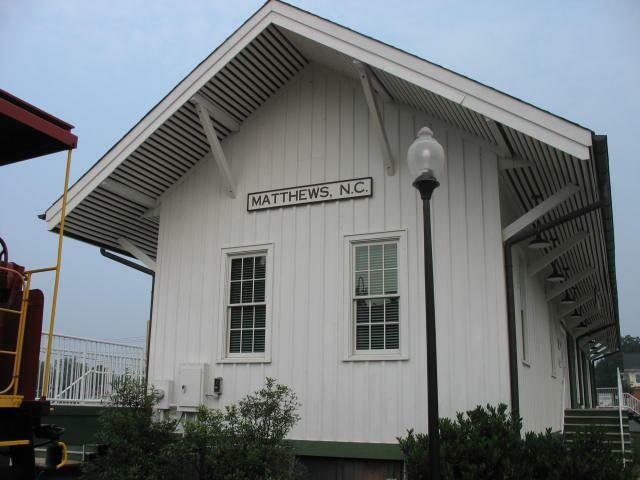 The station was named Matthews in honor of one of the directors of the railroad. Matthews was incorporated in 1879 and the first census in 1880 showed a population of 191. Today Matthews has approximately 26,600 residents. Today Matthews is experiencing an exciting period in its history. It is located a mere 10 miles from uptown Charlotte. While downtown Matthews retains the flavor and style of the early years, it continues to be one of the state's most affluent and desirable communities. As a result of this high quality growth, Matthews contains the richest variety of shopping areas, residential neighborhoods and business opportunities found in Mecklenburg County. Downtown Matthews is truly walkable. The town provides community activities and events for all ages. The historic Matthews High School was renovated and is now the Matthews Community Center where community theater is staged and various classes are conducted. A schedule of activities is found at www.matthewsfun.com. Stumptown Park, which features a bandshell, is used for many events, including the annual Matthews Alive Festival over Labor Day Weekend. Activities for seniors are found at the brand new Levine Senior Center. Other town events during the year include A Taste & Trade, a Jazz Festival, an Auto and Motorcycle Classic, the Artfest Art Festival, the Hometown Holiday at Christmas with carriage rides, walking tours and Christmas Tree Lighting and Music and Movies in Stumptown Park. A stroll through downtown should include a visit to Renfrow Hardware, which opened to 1900. The pot belly stove and many original store fixtures still reside in the store. The Historic Train Depot has been restored and is now a museum. It includes a restored caboose. 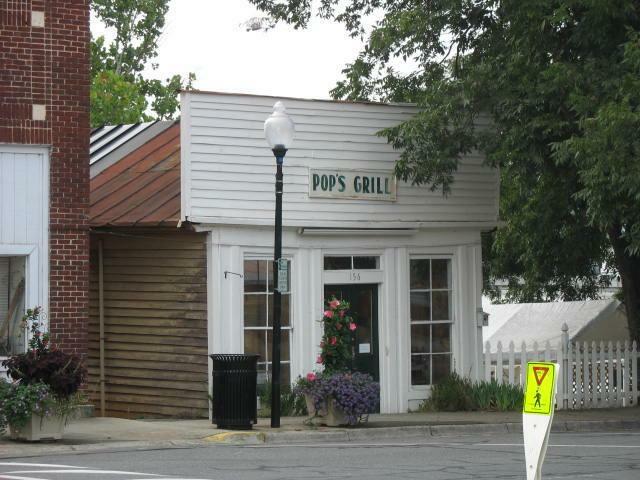 The Town of Matthews is working to develop a street of shops with offices above that complements the historic buildings on Trade Street. This new street ends at the Village Green in front of the Town Hall and Library. Several restaurants here and in the old section of downtown provide a variety of dining options. 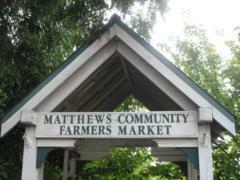 The Matthews Community Farmers Market is open from April to November. It displays produce grown within 50 miles of Matthews and features cooking demonstrations with chefs and children's activities. The Town of Matthews and Mecklenburg County propose to develop a Regional Sportplex and Family Entertainment District in Matthews. Design of the Sportplex is underway. Athletic programs within the town are found at the Matthews Athletic Recreation Association and at the Siskey YMCA. Search for homes in Matthews NC by clicking the links below. Ask me a question about Matthews NC. 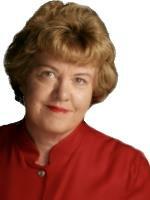 I'll be happy to answer your questions about neighborhoods, homes for sale and living in Matthews NC. Drop me a note via the email form below or give me a call at 704-905-3935.